To help you with the UN Sustainable Development Project you will be given a series of challenges to help you complete your project. These challenges may be done sequentially or selectively as directed by your teacher. 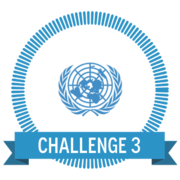 Each challenge will focus on a different skill, technology tool or research task. 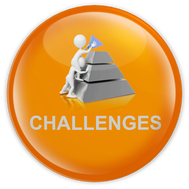 All challenges are designed to help you gain a greater knowledge about the Goal you have chosen to research. For each Challenge you complete you will receive a digital badge to go in your Digital Passport.